I recently noticed that a lot of attention is paid to SOLID principles. And this is very good thing because it is the total basis of Object-Oriented Design (OOD) and programming. For developers of object-oriented languages, knowledge of the SOLID principles is a requirement for writing code which is characterized by good quality. There are a lot of articles and courses on these rules, so if you do not know them yet, learn them as soon as possible. On the other hand, there is another, less well-known set of rules regarding object-oriented programming. It’s called GRASP – General Responsibility Assignment Software Patterns (or Principles). There are far fewer materials on the Internet about this topic, so I decided to bring it closer because I think the principles described in it are as important as the SOLID principles. Disclaimer: This post is inspired and based on awesome Craig Larman’s book: Applying UML and Patterns: An Introduction to Object-Oriented Analysis and Design and Iterative Development. Although the last edition was released in 2004, according to me, the book is still up-to-date and explains perfectly how to design systems using object-oriented languages. It’s hard to find the better book about this subject, believe me. It is not book about UML, but you can learn UML from it because it is good explained too. Must-have for each developer, period. – What is the responsibility of this class/module/component/system? – Is it responsible for this or is it responsible for that? – Is Single Responsibility Principle violated in this particular context? But to answer these kind of questions we should ask one, more fundamental question: what does it mean that something is responsible in the context of the software? As we see from this definition we have here a clear distinction between behavior (doing) and data (knowing). If you want more information about responsibilities in software and dig into Responsibility-Driven Design you can read it directly from Rebecca’s Wirfs-Brock book or this PDF. Ok, now we know what the responsibility in context of software is. Let’s see how to assign this responsibility using GRASP. 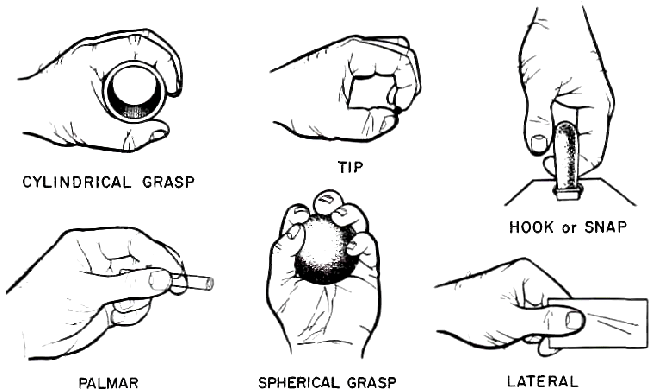 GRASP is set of exactly 9 General Responsibility Assignment Software Patterns. As I wrote above assignment of object responsibilities is one of the key skill of OOD. Every programmer and designer should be familiar with these patterns and what is more important – know how to apply them in everyday work (by the way – the same assumptions should apply to SOLID principles). NOTE: All Problem/Solution paragraphas are quotes from Craig Larman’s book. I decided that it would be best to stick to the original. Solution: Assign a responsibility to the class that has the information needed to fulfill it. This is the most basic principle, because the truth is – if we do not have the data we need, we would not be able to meet the requirement and assign responsibility anyway. Problem: Who creates object A? Problem: What first object beyond the UI layer receives and coordinates “controls” a system operation? Problem: How to reduce the impact of change? How to support low dependency and increased reuse? Solution: Assign responsibilities so that (unnecessary) coupling remains low. Use this principle to evaluate alternatives. Coupling is a measure how one element is related to another. The higher the coupling, the greater the dependence of one element to the another. Low coupling means our objects are more independent and isolated. If something is isolated we can change it not worrying that we have to change something else or wheter we would break something (see Shotgun Surgery). Use of SOLID principles are great way to keep coupling low. 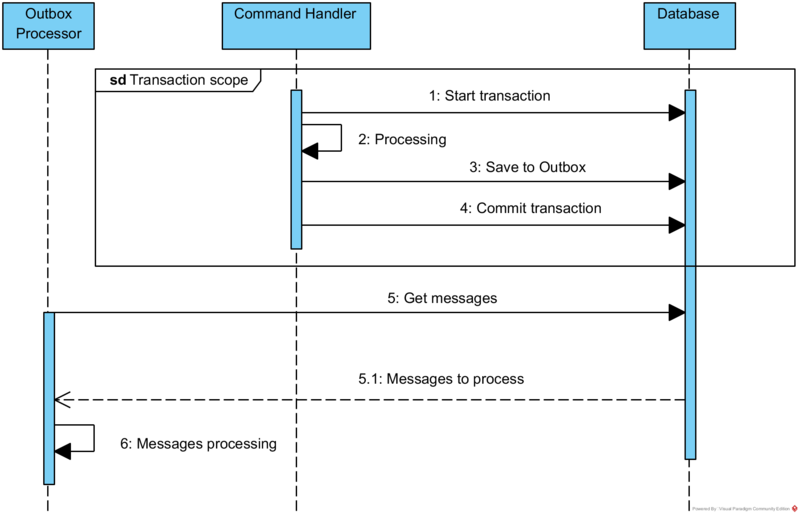 As you see in example above between CustomerOrdersController and AddCustomerOrderCommandHandler coupling remains low – they need only agree on command object structure. This low coupling is possible thanks to Indirection pattern which is described later. Problem: How to keep objects focused, understandable, manageable and as a side effect support Low Coupling? Solution: Assign a responsibility so that cohesion remains high. Use this to evaluate alternatives. Cohesion is a measure how strongly all responsibilities of the element are related. In other words, what is the degree to which the parts inside a element belong together. Classes with low cohesion have unrelated data and/or unrelated behaviors. For example, the Customer class has high cohesion because now it does only one thing – manage the Orders. If I would add to this class management of product prices responsibility, cohesion of this class would drop significantly because price list is not directly related to Customer itself. Problem: Where to assign a responsibility to avoid direct coupling between two or more things? Solution: Assign the responsibility to an intermediate object to mediate between other components or services so that they are not directly coupled. One note here. Indirection supports low coupling but reduces readability and reasoning about the whole system. You don’t know which class handles the command from the Controller definition. This is the trade-off to take into consideration. Problem: How handle alternatives based on type? Solution: When related alternatives or behaviors vary by type (class), assingn responsibility for the behavior (using polymorphi operations) to the types for which the behavior varies. Polymorphism is fundamental principle of Object-Oriented Design. In this context, principle is strongly connected with (among others) Strategy Pattern. We can provide there different implementations of this interface depending on the requirements. In general, this is very useful approach when we have in our systems different algorithms that have the same input and output (in terms of structure). Solution: Assign a highly cohesive set of responsibilites to an artifical or convenience class that does not represent a problem domain conecept. Sometimes it is realy hard to figure it out where responsibility should be placed. This is why in Domain-Driven Design there is a concept of Domain Service. Domain Services hold logic which are not related with one, particular Entity. // Communication with external API. Here is only mock. This way we support both High Cohesion (we are only converting currencies) and Low Coupling (client classes are only dependent to IForeignExchange interface). Additionally, this class is reusable and easy to maintain. Problem: How to design objects, subsystems and systems so that the variations or instability in these elements does not have an undesirable impact on other elements? Solution: Identify points of predicted variation or instability, assign responsibilities to create a stable interface around them. In my opinion, this is the most important principle which is indirectly related to the rest GRASP principles. Currently, one of the most important software metrics is the ease of change. 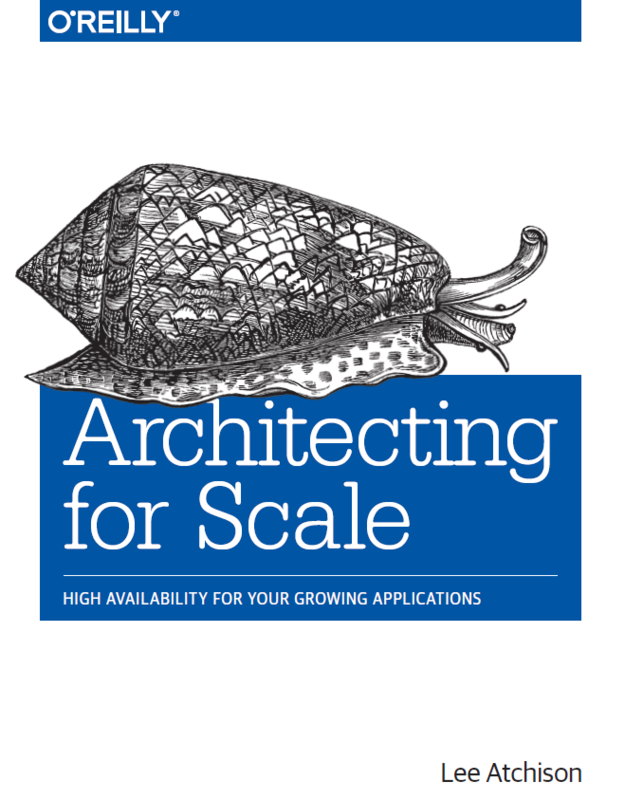 As architects and programmers we must be ready for ever-changing requirements. This is not optional and “nice to have” quality attribute – it is “must-have” and our duty. As iterative software development process is more suitable today because even we are forced to change something once, we can draw conclusions and be prepared for future changes at a lower cost. In this post I described one of the most fundamental Object-Oriented Design set of patterns and principles – GRASP. Skilful management of responsibilities in software is the key to create good quality architecture and code. In combination with others patterns and practices is it possible to develop well-crafted systems which supports change and do not resist it. This is good, because the only thing that is certain is change. So be prepared. The question that arises is whether we are able to guarantee the atomicity of our business operation from a technical point of view? Unfortunately, not always, or even if we can (using 2PC protocol), this is a limitation of our system from the point of latency, throughput, scalability and availability. For details about these limitations, I invite you to read the article titled It’s Time to Move on from Two Phase Commit. If we cannot provide atomicity or we don’t want to do that for the reasons mentioned above, what could we do to increase the reliability of our system? We should implement the Outbox Pattern. When you save data as part of one transaction, you also save messages that you later want to process as part of the same transaction. The list of messages to be processed is called an Outbox, just like in e-mail clients. In Messaging this concepts translates into a message that has the same effect whether it is received once or multiple times. This means that a message can safely be resent without causing any problems even if the receiver receives duplicates of the same message. Ok, Enough theory, let’s see how we can implement this pattern in .NET world. /// Full name of message type. /// Message data - serialzed to JSON. What is important, the OutboxMessage class is part of the Infrastructure and not the Domain Model! Try to talk with business about Outbox, they will think about the outlook application instead of the messaging pattern. 🙂 I didn’t include ProcessedDate property because this class is only needed to save message as part of transaction so this property always will be NULL in this context. For sure I do not want to program writing messages to the Outbox every time in each Command Handler, it is against DRY principle. For this reason, the Notification Object described in the post about publishing Domain Events can be used. Following solution is based on linked article with little modification – instead of processing the notifications immediately, it serializes them and writes them to the database. First thing to note is Json.NET library usage. Second thing to note are 2 constructors of CustomerRegisteredNotification class. First of them is for creating notification based on Domain Event. Second of them is to deserialize message from JSON string which is presented in following section regarding processing. The processing of Outbox messages should take place in a separate process. However, instead of a separate process, we can also use the same process but another thread depending on the needs. Solution which is presented below can be used in both cases. Firstly, scheduler is created using factory. Then, new instance of IoC container for resolving dependencies is created. The last thing to do is to configure our job execution schedule. 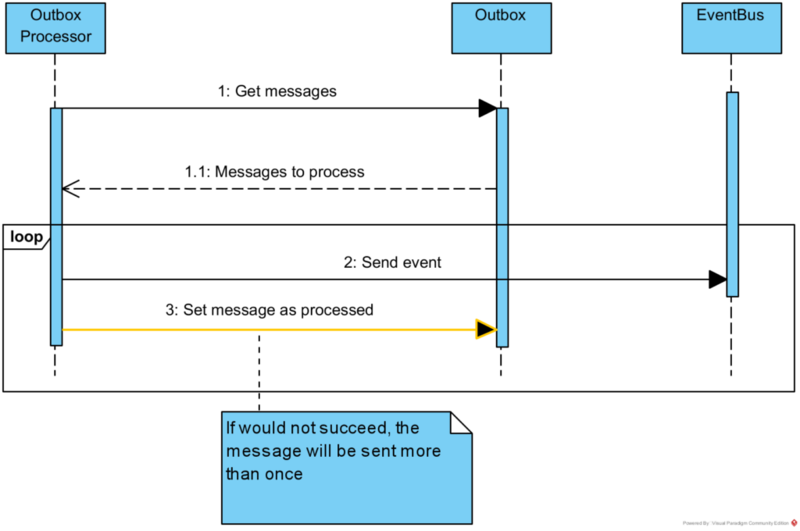 In case above it will be executed every 15 seconds but its configuration really depends on how many messages you will have in your system. Line 1 – [DisallowConcurrentExecution] attribute means that scheduler will not start new instance of job if other instance of that job is running. This is important because we don’t want process Outbox concurrently. As I wrote earlier, if there is an error between processing the message (line 32) and setting it as processed (line 38), job in the next iteration will want to process it again. 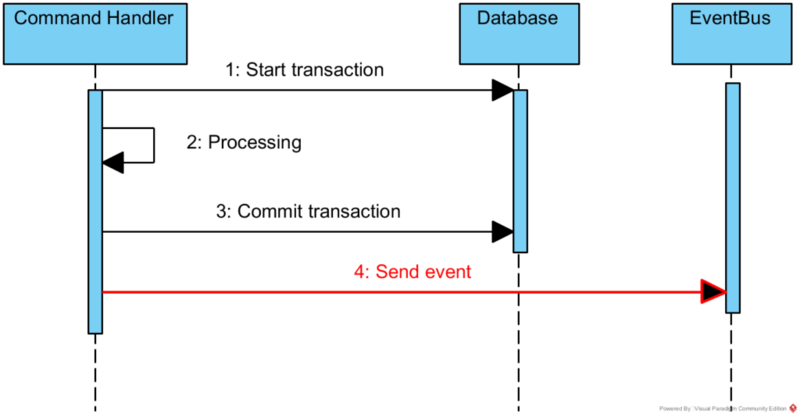 In this post I described what are the problems with ensuring the atomicity of the transaction during business operation processing. I’ve raised the topic of 2PC protocol and motivation to not use it. I presented what the Outbox Pattern is and how we can implement it. Thanks to this, our system can be really more reliable. If you would like to see full, working example – check my GitHub repository. In previous post I described how requests input data can be validated on Application Services Layer. I showed FluentValidation library usage in combination with Pipeline Pattern and Problem Details standard. In this post I would like to focus on the second type of validation which sits in the Domain Layer – Domain Model validation. transaction is committed to the database. … business invariants — the rules to which the software must always adhere — are guaranteed to be consistent following each business operation. So in context of Aggregates scope, we need to protect these invariants by executing validation during our use case (business operation) processing. Unfortunately, validation of Aggregates invariants is not enough. Sometimes the business rule may apply to more than one Aggregate (they can be even aggregates of different types). For example, assuming that we have Customer Entity as Aggregate Root, the business rule may be “Customer email address must be unique”. To check this rule we need to check all emails of Customers which are separated Aggregate Roots. It is outside of the scope of one Customer aggregate. Of course, supposedly, we could create new entity called CustomerCatalog as Aggregate Root and aggregate all of the Customers to it but this is not good idea for many reasons. The better solution is described later in this article. Let’s see what options we have to solve both validation problems. This solution is based on Notification Pattern. We are defining special class called Notification/ValidationResult/Result/etc which “collects together information about errors and other information in the domain layer and communicates it”. // Validate AggregateRoot and check nestedEntityValidationResult. However, if we don’t like to return ValidationResult from every method which mutates the state we can apply different approach which I described in article about publishing Domain Events. In short, in this solution we need to add ValidationResult property for every Entity (as Domain Events collection) and after Aggregate processing we have to examine these properties and decide if the whole Aggregate is valid. I have to admit that I don’t like Validation Object and Deferred Validation approach and I recommend Always Valid strategy. My reasoning is as follows. Returning Validation Object approach pollutes our methods declarations, adds accidental complexity to our Entities and is against Fail-Fast principle. Moreover, Validation Object becomes part of our Domain Model and it is for sure not part of ubiquitous language. On the other hand Deferred Validation implies not encapsulated Aggregate, because the validator object must have access to aggregate internals to properly check invariants. However, both approaches have one advantage – they do not require throwing exceptions which should be thrown only when something unexpected occurs. Business rule broken is not unexpected. Nevertheless, I think this is one of the rare exception when we can break this rule. For me, throwing exceptions and having always valid Aggregate is the best solution. “The ends justify the means” I would like to say. I think of this solution like implementation of Publish-Subsribe Pattern. Domain Model is the Publisher of broken invariants messages and Application is the Subscriber to this messages. The main assumption is that after publishing message the publisher stops processing because this is how exceptions mechanism works. For simpler validation like checking for nulls, empty lists etc you can create library of guards (see Guard Pattern) or you can use external library. See GuardClauses created by Steve Smith for example. What about validation which spans multiple Aggregates (Bounded Context scope)? Let’s assume that we have a rule that there cannot be 2 Customers with the same email address. There are two approaches to solve this. The question here is whether pass Domain Service as an argument to aggregate’s constructor/method or execute validation in Command Handler itself. As you can see above I am fan of former approach because I like keep my command handlers very thin. Another argument for this option is that if I ever need to register Customer from a different use case I will not be able to bypass and forget about this uniqueness rule because I will have to pass this service. – For Bounded Context scope validation there are 2 methods of validations – passing all required data to aggregate’s method or constructor or create Domain Service (generally for performance reason). This time I would like to describe how we can protect our REST API applications from requests containing invalid data (data validation process). However, validation of our requests is not enough, unfortunately. In addition to validation, it is our responsibility to return the relevant messages and statuses to our API clients. I wanted to deal with these two things in this post. An activity aimed at verifying whether the value of a data item comes from the given (finite or infinite) set of acceptable values. According to this definition we should verify data items which are coming to our application from external sources and check if theirs values are acceptable. How do we know that the value is acceptable? We need to define data validation rules for every type of data item which is processing in our system. I would like to emphasize that data validation is totally different concept than validation of business rules. 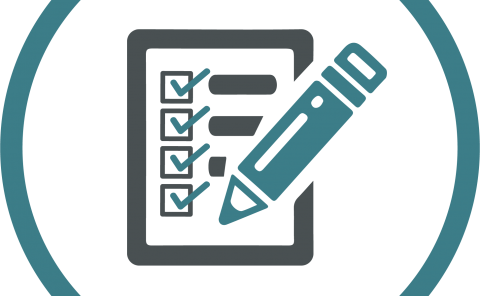 Data validation is focused on verifying an atomic data item. Business rules validation is a more broad concept and more close to how business works and behaves. So it is mainly focused on behavior. Of course validating behavior depends on data too, but in a more wide range. – Product can be ordered only when Customer age is equal or greater than product minimal age. – Customer can place only two orders in one day. 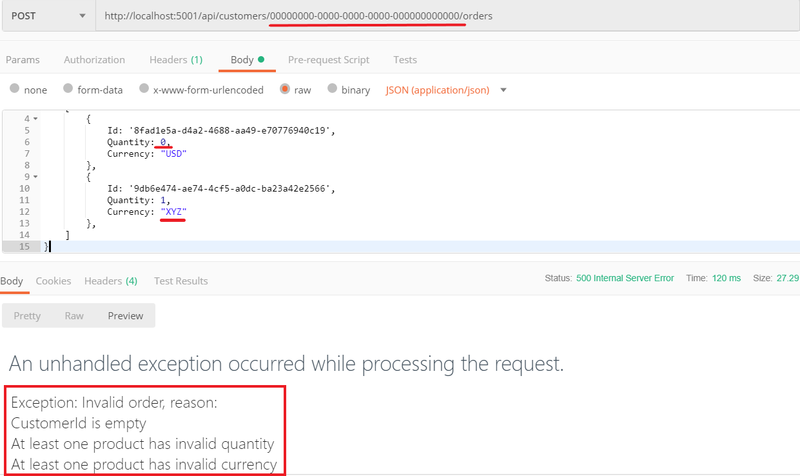 This document defines a “problem detail” as a way to carry machine-readable details of errors in a HTTP response to avoid the need to define new error response formats for HTTP APIs. Of course we can (and sometimes we should) extend this object by adding new properties, but the base should be the same. Thanks to this our API is easier to understand, learn and use. For more detailed information about standard I invite you to read documentation which is well described. In this article I am omitting GUI and Database components and I am focusing on the server side of the application. 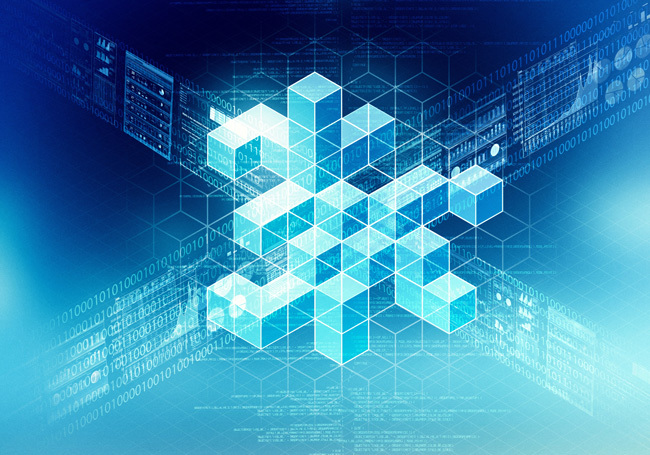 Let’s see how we can implement data validation on Application Services layer. 1. CustomerId is not empty GUID. Let me show 3 solutions to this problem – from simple to the most sophisticated. The first thing that can come to mind is a simple validation in the Command Handler itself. In this solution we need to implement private method which validates our command and throws exception if validation error occurs. Closing this kind of logic in separate method is better from the Clean Code perspective (see Extract Method too). This is not so bad approach but has two disadvantages. Firstly, it involves from us writing a lot of easy and boilerplate code – comparing to nulls, defaults, values from list etc. Secondly, we are losing here part of separation of concerns because we are mixing validation logic with orchestrating our use case flow. Let’s take care of boilerplate code first. To decouple validation logic and execute it before Command Handler execution we arrange our command handling process in Pipeline (see NServiceBus Pipeline also). This way we achieved separation of concerns and Fail-fast principle implementation in nice and elegant way. But this is not the end. Finally, we need to do something with returned messages to clients. 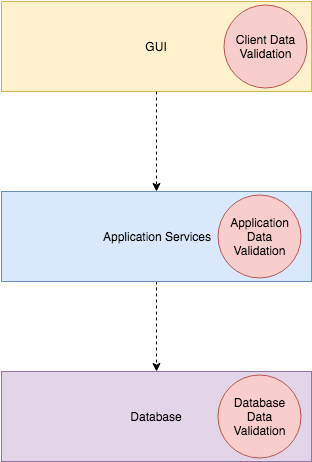 – 3 methods to implement data validation in Application Services layer: without any patterns and tools, with FluentValidation library, and lastly – using Pipeline Pattern and MediatR Behaviors. In previous post I presented how to implement simple CQRS pattern using raw SQL (Read Model) and Domain Driven Design (Write Model). I would like to continue presented example focusing mainly on DDD implementation. 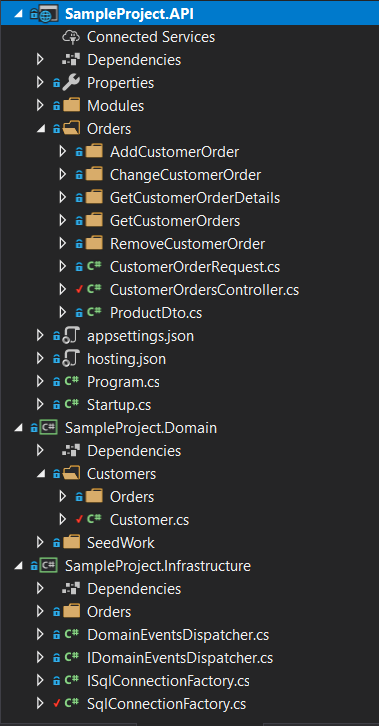 In this post I will describe how to get most out of the newest version Entity Framework v 2.2 to support pure domain modeling as much as possible. I decided that I will constantly develop my sample on GitHub. I will try to gradually add new functionalities and technical solutions. I will also try to extend domain so that the application will become similar to the real ones. It is difficult to explain some DDD aspects on trivial domains. Nevertheless, I highly encourage you to follow my codebase. When we create our Domain Model we have to take many things into account. At this point I would like to focus on 2 of them: Encapsulation and Persistence Ignorance. Even when it is important to follow the Persistence Ignorance principle for your Domain model, you should not ignore persistence concerns. It is still very important to understand the physical data model and how it maps to your entity object model. Otherwise you can create impossible designs. As described, we can’t forget about persistence, unfortunately. Nevertheless, we should aim at decoupling Domain Model from rest parts of our system as much as possible. It is simple e-commerce domain. Customer can place one or more Orders. Order is a set of Products with information of quantity ( OrderProduct). Each Product has defined many prices ( ProductPrice) depending on the Currency. What this means in practice for our code in Domain Model? 1. No data access code. 2. No data annotations for our entities. Any interaction with database should be implemented in Infrastructure Layer. It means you have to add there entity framework context, entity mappings and implementation of repositories. Only interfaces of repositories can be kept in Domain Model. 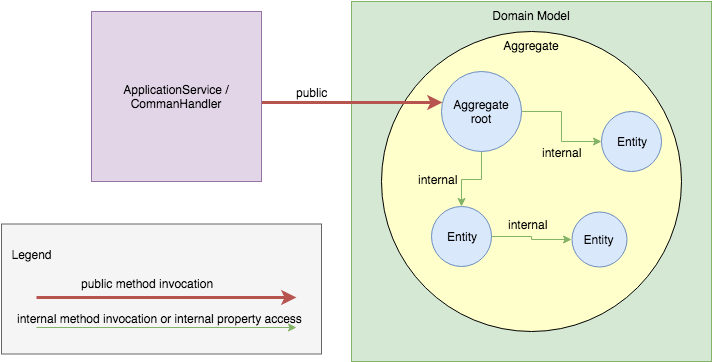 Shadow Properties are great way to decouple our entities from database schema. 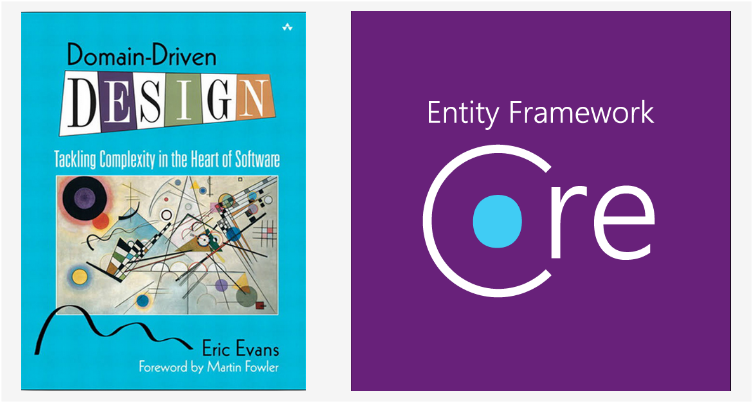 They are properties which are defined only in Entity Framework Model. Using them we often don’t need to include foreign keys in our Domain Model and it is great thing. As you can see on line 15 we are defining property which doesn’t exist in Order entity. It is defined only for relationship configuration between Customer and Order. The same is for Order and ProductOrder relationship (see lines 23, 24). Value Conversions are the “bridge” between entity attributes and table column values. If we have incompatibility between types, we should use them. Entity Framework has a lot of value converters implemented out of the box. Additionally, we can implement custom converter if we need to. This converter simply converts “StatusId” column byte type to private field _status of type OrderStatus. I often come across questions about the implementation of the CQRS pattern. Even more often I see discussions about access to the database in the context of what is better – ORM or plain SQL. In this post I wanted to show you how you can quickly implement simple REST API application with CQRS using the .NET Core. I immediately point out that this is the CQRS in the simplest edition – the update through the Write Model immediately updates the Read Model, therefore we do not have here the eventual consistency. However, many applications do not need eventual consistency, while the logical division of writing and reading using two separate models is recommended and more effective in most solutions. Especially for this article I prepared sample, fully working application, see full source on Github. 1. Clear separation and isolation of Write Model and Read Model. 2. Retrieving data using Read Model should be as fast as possible. 3. Write Model should be implemented with DDD approach. The level of DDD implementation should depend on level of domain complexity. 4. Application logic should be decoupled from GUI. 5. Selected libraries should be mature, well-known and supported. As you can see the process for reads is pretty straightforward because we should query data as fast as possible. We don’t need here more layers of abstractions and sophisticated approaches. 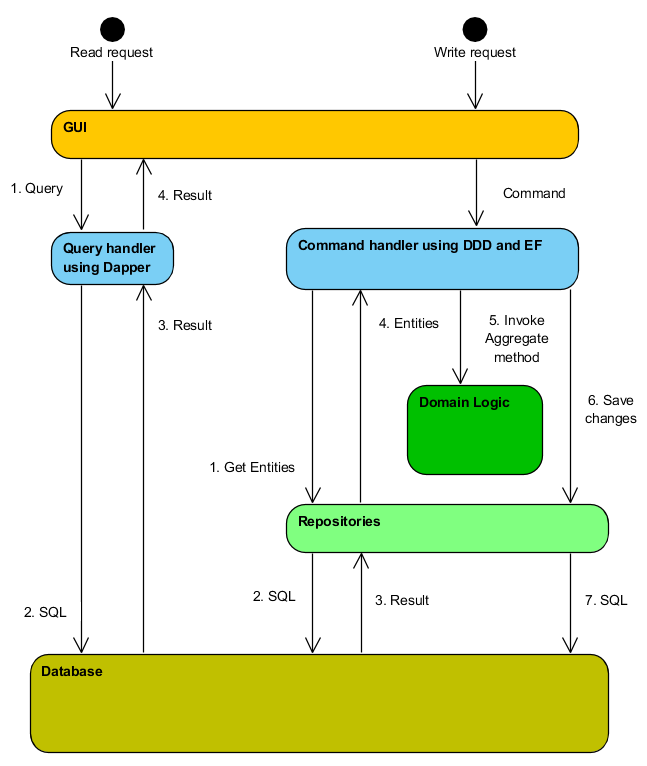 Get arguments from query object, execute raw SQL against database and return data – that’s all. It is different in the case of write support. Writing often requires more advanced techniques because we need execute some logic, do some calculations or simply check some conditions (especially invariants). With ORM tool with change tracking and using Repository Pattern we can do it leaving our Domain Model intact (ok, almost). /// Get customer order details. The first thing is to get open database connection and it is achieved using SqlConnectionFactory class. This class is resolved by IoC Container with HTTP request lifetime scope so we are sure, that we use only one database connection during request processing. Second thing is to prepare and execute raw SQL against database. I try not to refer to tables directly and instead refer to database views. This is a nice way to create abstraction and decouple our application from database schema because I want to hide database internals as much as possible. For SQL execution I use micro ORM Dapper library because is almost as fast as native ADO.NET and does not have boilerplate API. In short, it does what it has to do and it does it very well. Command handler looks different than query handler. Here, we use higher level of abstraction using DDD approach with Aggregates and Entities. We need it because in this case problems to solve are often more complex than usual reads. Command handler hydrates aggregate, invokes aggregate method and saves changes to database. – API project with API endpoints and application logic (command and query handlers) using Feature Folders approach. 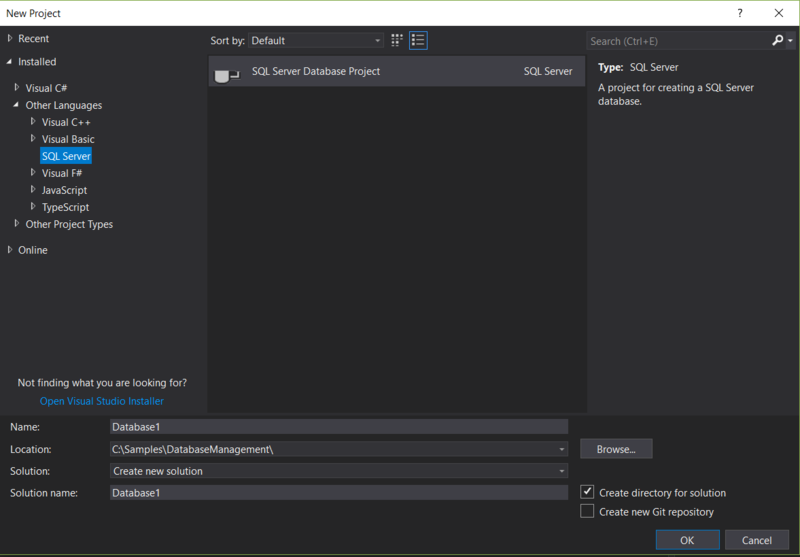 – Infrastructure project – integration with database. In this post I tried to present the simplest way to implement CQRS pattern using raw sql scripts as Read Model side processing and DDD approach as Write Model side implementation. Doing so we are able to achieve much more separation of concerns without losing the speed of development. Cost of introducing this solution is very low and and it returns very quickly. I didn’t describe DDD implementation in detail so I encourage you once again to check the repository of the example application – can be used as a kit starter for your app the same as for my applications. Today I would like to suggest a less-common but in my opinion a much better way to organize our codebase. 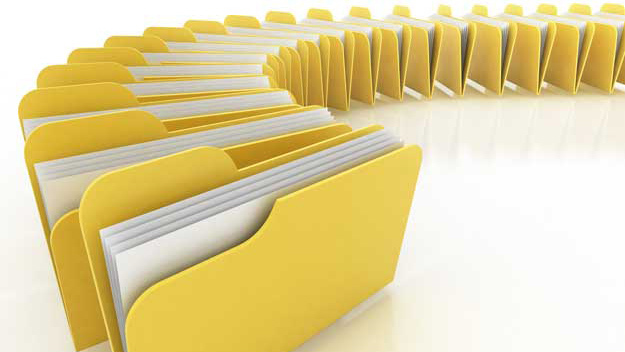 Meet the Feature Folders. For ages we have been (at least in the .NET environment) used to thinking about our code structure taking into account the technical aspects. For example MVC application project templates assume the division our objects into separate directories – Controllers, Views, Scripts and so on. We can see the same in many tutorials. If we need add new feature, following this approach we should add all objects in different places. This approach is found not only on the application layer but on others too. 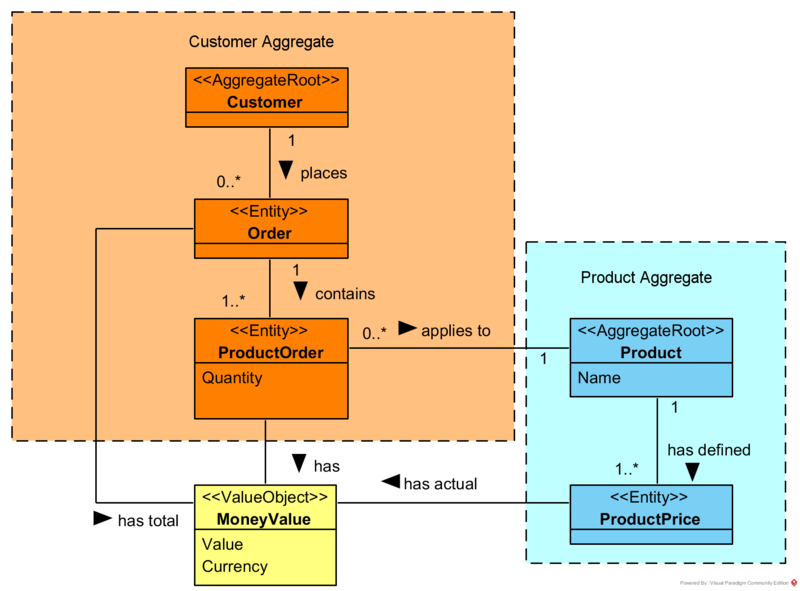 I have seen many times in the business logic layer the big folders called Aggregates, Entities, Domain Events with a lot of classes unrelated to each other. But what does it mean “unrelated”? We can specify 2 types of relationships between objects – technical and business. Technical relationship tells whether two objects have similar meaning from technical perspective. That is, whether they have the same usage. 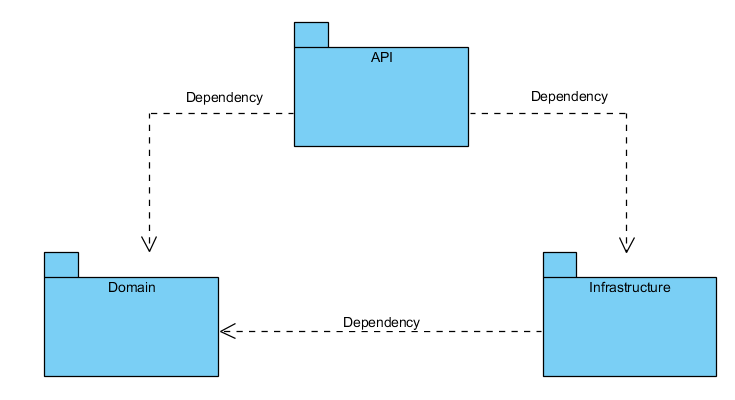 Two controllers are technically related, but controller and application service are not related – their purpose is different. Business relationship tells whether two objects support the fulfillment of the same use case. These can be definitely different objects from a technical point of view – for example: a validator and a command handler. For example the new requirement appears and we need add new attribute which can be editable. We need change all of three objects associated with editing so in this particular design we need change all three modules as well. The same if we would like to move all functionality to a separate service. This is not good. We have to try achieve as high cohesion as possible. The solution is to stop thinking about the technical aspects of our objects and focus instead on the business relationship. It will provide high cohesion with all its benefits (maintainability, reusability, less complexity and so on). This is very simple approach but improves our design and especially in projects with many features makes work definitely easier. There is an extra bonus. With this design we create templates for later requirements. For example if we need add implementation for adding a new product, we can copy paste whole feature folder, rename objects and we know exactly what we have to implement. Great! In previous post I described two popular ways to manage database changes. The first one was state versioning where you keep whole current design of your database in repository and when you need change something then you need only change this state. 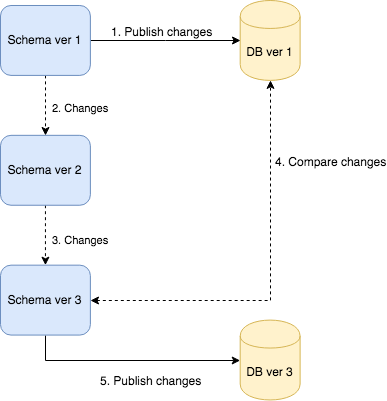 Later, when you want to deploy changes, your schema and target database is compared and the migration script is generated. 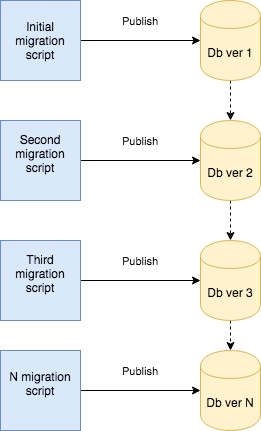 The second way is to versioning transitions to desired state, which means creating migration script for every change. In this post I wanted to show implementation of these two approaches in .NET environment combined together – what I think is the best way to manage database changes. The first thing to do is create Database Project. This type of project is available only when you have SQL Server Data Tools installed. It can be installed together with Visual Studio 2017 or separately – see this page for more information. Now we can add database objects to our project in the form of SQL scripts. Each script should define one database object – table, view, procedure, function and so on. It is common to create root folders as schemes are named. TIP: I do not recommend creating database objects in “dbo” schema. I advise to create good named schemes per module/purpose/functionality. Creating your own schemes also allow you to better manage your object namespaces. This is great behavior because we have compile-time check and we can avoid more runtime errors. When we finished database project, we can compare it to other project or database and create migration script. But as I described in previous post this is not optimal way to migrate databases. We will use DbUp library instead. DbUp is open source .NET library that provide you a way to deploy changes to database. 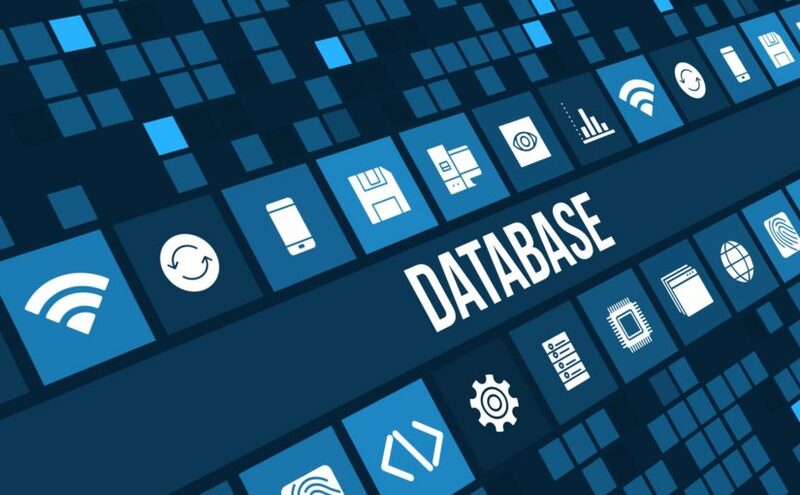 Additionally, it tracks which SQL scripts have been run already, has many sql scripts providers available and other interesting features like scripts pre-processing. You can ask a question why DbUp and not EF Migrations or Fluent Migrator? I have used all of them and I have to say that DbUp seems to me the most pure solution. I don’t like C# “wrapers” to generate SQL for me. DDL is easy language and I think we don’t need special tool for generating it. For “pre” and “post” deployment scripts we are defining NullJournal – in this way scripts will be run every time. – History of applied transitions (DbUp). Using this machinery the development of database should be definitely easier and less error-prone. Database change management is not an easy task. It is even more difficult when we are at the beginning of a project where the data model is constantly changing. More people in the team is another difficulty because we have to coordinate our work and not interfere with each other. Of course, we can delegate database change management to one person, but this results in a bottleneck. In addition, we should take care of the deployment automation, because without automation we can not have truly continuous integration and delivery. We should follow what was the change, who did it and when. There is no better tool for this than source control. Every little change, every little script should be thrown into the repository. Every developer should have local database on his own environment and should be able to always upgrade his database after downloading the changes. Without it, developer will have new version of application and old version of database. This will cause unpredictable behavior. Shared development databases say no! What is also important, the deployment of changes should be very fast. Conflicts on the same database objects should be easy to solve and should not require a lot of work. We always should know in what version our database is. 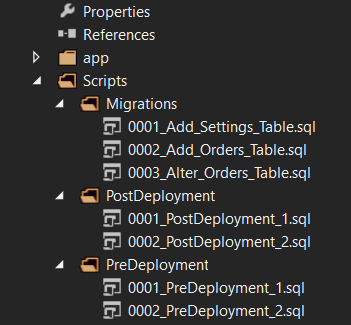 In addition, we should know what migrations have already been deployed and which ones not. Our mechanism should provide us with the ability to automate the deployment of changes to tests and productions environments. We should use the same mechanism during development to make sure everything will be fine and will work as expected. Sometimes changes can only be deployed manually by human due to procedures or regulations in the company. For this reason, we should be able to generate a set of scripts for manual deployment. It is common to execute some logic before or/and after deployment. Sometimes we need regenerate some data, sometimes we need to check something (constraints integrity for example). This type of feature is very useful. It would be perfect to have the full support of our IDE. Quick access to objects schema (without connection to database), prompts, compile-time checking – these are the things we need to be very productive during database development. A lot of these requirements, let’s see what solutions we have. I altered Name column and added Description column. That’s all – I changed state of my schema. The transition to this state is on the tool side. – try to add new not nullable column without default value. – you have different order of columns in project vs target database. Then tool tries to change this order by creating temp tables, coping data and renaming – something that we do not always want because from a theoretical point of view order of columns doesn’t matter. All of these problems (despite the many advantages) make it not a good approach to database change management. Another approach is to versioning transitions instead of state. In this approach we create sequence of migration scripts which lead us to the desired database state. – is required to store which scripts were executed. If you look at the pros and cons of both solutions you have to admit that they are complementary. By using both approaches you can get rid of all cons leaving advantages. Well, almost.. 🙁 Combining two approaches costs a little more time and work. You need always create migration script and change definition as well. In addition, you need to be careful about consistency and integrity with two models. Transitions should always lead to defined state. If you have mismatch, you do not know how final schema should look like. In next post I will show how to setup database change management in .NET based on these assumptions. In this post I would like to discuss places where we can store configuration of our application and warn against keeping sensitive configuration data in the code repository. Additionally, I will show example of configuration based on User Secrets and Environment Variables in .NET Core. Sensitive data that must be protected from unauthorized access to safeguard the security of an our application or user’s data. Examples of sensitive data are private key for external API or username and password in database connection string. Example of insensitive configuration data could be database timeout length setting. Local configuration is dependent on environment. For example connection string to database is different for local development, test or production environments because they are using their own storage. Global configuration is something independent from environment. For example it could be list of predefined file extensions which user can upload. Configuration data for specific component could be required or optional. For database connection string server and database name are required parameters but for example max connection per pool is not. This is the most common option. Configuration data is included in application and can be changed by editing/replacing configuration file. It is also configuration file but situated outside the application – on the same computer or somewhere on the network. 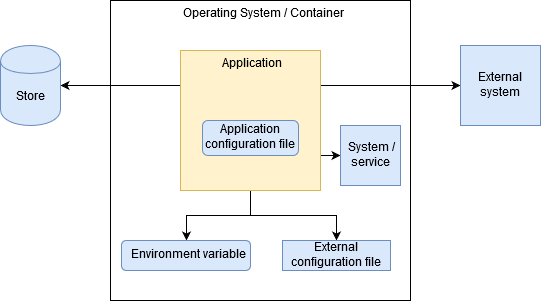 Configuration data is stored in operating system environment variables. This option has become popular by the trend on containerization. Sometimes there is a need to store configuration data in the database. The reason for this is externalization of configuration (when more than one process needs this data) or we need easy way to edit that configuration. When configuration is more complicated and dynamic it is good approach to get configuration from external system / service. An example of such a service is the Oculus which is service discovery mechanism in microservices environment. If you would have to remember one thing from this entry, that would be it: Don’t store sensitive data in your code repositories. Never. Period. Even if you have private repositories on Github or Bitbucket . Even if you have private repositories hosted on your internal servers and whole infrastructure is hidden behind the NAT. Even if you created only local repository which is not published to remote server. Hmm…Ok, I have to add credentials configuration for database/api/whatever now. For now I will simply add them to configuration file and when I get ready to deploy new feature to test/prod I will change it. Or I will do it before committing my changes. Yes, I will only check if this connection works..
Too much “becauses”. The right solutions are simple and I will show two of them: storing configuration in external configuration file (User Secrets) and Environment variables. User Secrets is nothing else than JSON configuration file stored in a system-protected user profile folder on the local machine in path %APPDATA%\Microsoft\UserSecrets\<user_secrets_id>\secrets.json. User secrets id is GUID generated by Secret Manager tool. Process of adding User Secrets is pretty simple. Firstly, we need right click on the project and select Manage User Secrets option. How to implement GetEnvironment() method depends on your preferences. It can be determined based on project configuration or other factor like external file. In this post I described the diversity of configuration data as well as their possible sources. In addition, I showed how to keep sensitive configuration data securely on the .NET Core runtime environment using User Secrets and Environment variables. The security of applications and our data is often overlooked in the initial phase of the project, which is a big mistake and can be tragic in consequences. It’s better to think about it from the very beginning.